Planning a trip to the Snowy Mountains? If you need to relax and recharge on the way there, a stop in Cooma should do the trick. This NSW town has been called ‘the gateway to the Snowy Mountains’, and like the mountains themselves, it’s full of appealing sights. Surrounded by rivers, parks and hills that are snow-capped in winter, Cooma has a historic town centre filled with art galleries and diverse restaurants. 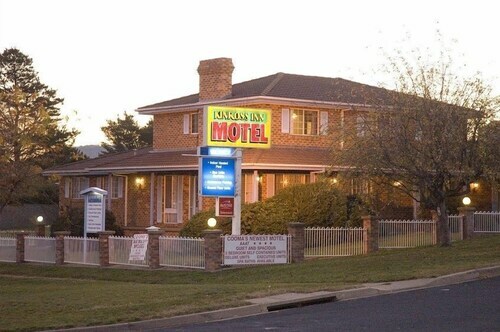 Book your Cooma hotel with us and you’ll be glad you stopped by. The biggest town in the Snowy Mountains, Cooma is part of the Monaro region, which was occupied by the Ngarigo people for more than 20,000 years. Cooma was surveyed in 1849, and gold was discovered in the 1860s, bringing a flux of new locals and a railway in 1889. In 1949, the Snowy Mountains Scheme began. The country’s biggest engineering project EVER, it involved building 225km of tunnels and pipelines and several dams and power stations. The idea was to collect water from the snow and rain in the Snowy Mountains, and the whole project took 25 years to complete. Explore Cooma’s heritage on the Lambie Town Walk, a 5 km self-guided wander. It will take you past old-fashioned cottages and old buildings like the Cooma Gaol, all the way up to Nanny Goat Hill Lookout, where a bronze goat statue gazes at the town from above. If the Snowy Mountains Scheme sounds interesting, visit the Snowy Hydro Discovery Centre. It shows the history of the scheme from early days until now in a huge exhibition hall featuring exhibits, displays, interactive attractions and models. Cooma has a great dining scene with everything from international cuisine to take-away to cafes, as well as plenty of clothing and snow gear shops. Visit one of the art galleries for some unique local paintings and photographs. Take a walk in one of Cooma’s lovely parks, such as Centennial Park or Frank Norris Park, where the walking track runs alongside Cooma Creek. A night or two in Cooma will guarantee you wake up refreshed and ready to tackle your Snowy Mountains adventure. Start by booking one of our cheap flights to Canberra, the closest major city to Cooma. From there, you can get a bus or train to Cooma or make the drive yourself. It’s one hour and 20 minutes, and then another 48 minutes from Cooma to the ski town of Jindabyne. Book your Cooma accommodation with us and chill out in comfort before you adventure through the snow. How Much is a Hotel Room in Cooma? 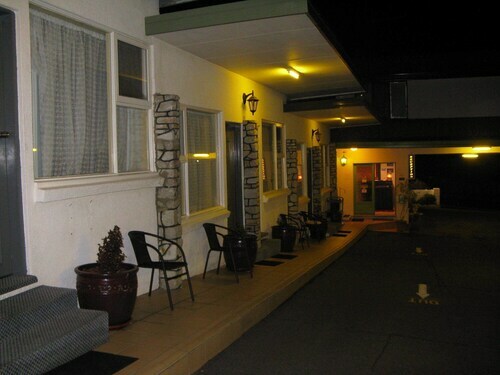 Hotels in Cooma start at AU$65 per night. Prices and availability subject to change. Additional terms may apply. It was such a great stay in Kinross Inn. The place is clean and tidy. Very clean, neat, tidy, great helpful staff- great position in Main Street.